Looking for an internet connection you can rely on for hospitality industry? Need reliable wifi for your customers? Internet for myHotel provides high-speed internet services to hotels, resorts, condos, restaurants and many other commercial venues. Designed with guest accommodation and restaurant businesses in mind, it offers internet for hotels with affordable prices and the option to suspend the service when you are closed. Save money with Broadsat. Choose the contract length that best suits your needs. Uninterrupted, stable and reliable access, tailored to the number of users. Offering a reliable internet service means improved ranking and increased business. Internet via satellite offers guaranteed coverage … just so long as you can see the sky! Created to offer internet for hotels in rural areas, mountains and off the beaten track, nowadays myHotel is used for many forms of accommodation (hotels, Bs&Bs, guest houses, agritourism, hostels…), from places to eat (pubs, restaurants, bars…) to beach clubs or meeting locations. Its high service level and 22 MB speed, mean that it is reliable even when shared by multiple users, and achieves performances far beyond ADSL. If you need to offer fast internet with high levels of performance for large numbers of customers, myHotel is the right service for you. Having reliable high speed internet means you can, satisfy requests for internet from your guests, offer online booking or assistance with booking online . A myHotel service is the first step in having all this. If you work in the hospitality or restaurant business “all this” means extra services for your customers, better reviews from your customers, more bookings and increased earnings. It isn’t important where your business is, whether it is beyond the reach of ADSL or optic fibre, if it is surrounded by mountains, or even if it is far from signal repeaters or exchanges…. 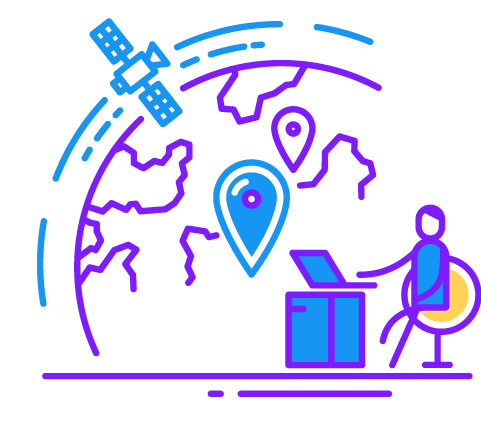 Wherever it is, whatever form it takes, satellite technology can ensure an internet connection. myHotel is a service offering an internet connection via satellite which is efficient and reliable. Designed for people working in the hospitality industry, it offers truly affordable prices and the option to suspend the contract in the months when you are closed. The myHotel service can be provided in just three working days, without the need to check for suitability. We can help you choose the contract which best suits the number of your guests and, our customer care centre, can offer you support from our qualified staff. The service is flexible so at any time you can choose whether to offer a service which is free or not, which gives free access or can be controlled via a simple interface.